Jim McMurray has been awarded the South Waikato Sportsperson of the Year Award for the fifth time in the last six years. 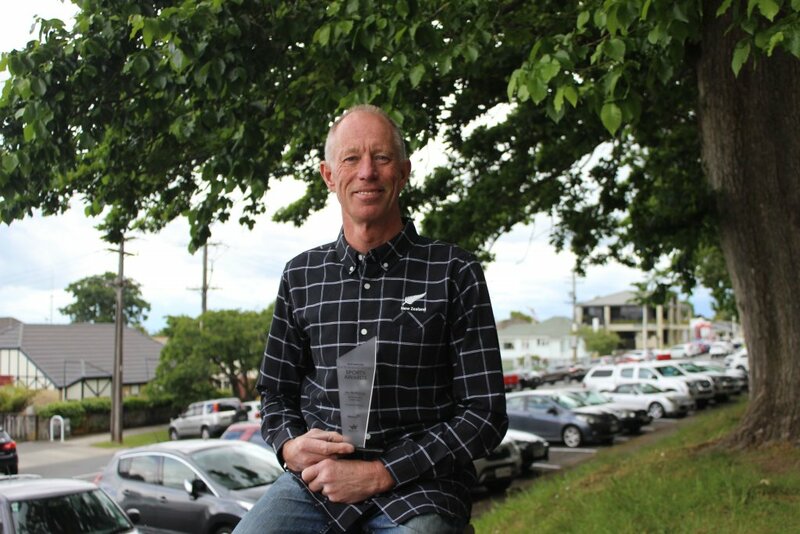 Local cyclist Jim McMurray has been named the South Waikato Sportsperson of the Year for the fifth time, following the South Waikato District Sports Awards on November 15. Jim McMurray, who lives between Cambridge and Tirau, has won the award almost consecutively, starting in 2013 and winning again in 2014, 2015, 2016 and 2018. He’s now in the running to attend the Waikato Regional Sports Awards in January, where he could win sportsperson of the region. The modest masters’ cyclist, who also happens to deliver the Cambridge News to our readers in Piarere, averages about 450km on the bike each week in training, not counting the paper deliveries. “I guess it’s the only way to get to the top, you’re not going to get there if you only did a couple hundred,” he said. Jim’s award, which adds to his Male Masters’ Road Cyclist of the Year Award from Cycling NZ earlier this year, comes following a stint of racing on the world stage as well as here in New Zealand. He won gold in Italy at the UCI Gran Fondo World Champs in September, the second time he has secured the title, and won gold at the New Zealand Road Race and Time Trial Championships earlier this year. 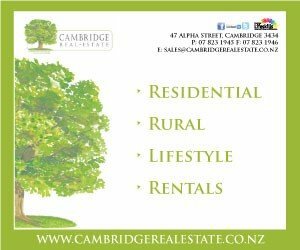 Set to take part in a number of competitions around the North Island in the next few weeks, one of Jim’s upcoming races will take place near Cambridge as part of the New Zealand Cycling Festival in January, where he’ll compete in the Hobbiton Movie Set Gran Fondo on January 26.